 The late Nobel Prize winner's first novel, written in 1950 and hitherto untranslated (it was first published in Germany in 1992). Unlike many posthumously released early works by great writers, this is much more than juvenilia: mostly atmosphere at first glance, but events eventually manage to click into a tight circle. The central figure, Hans Schnitzler, a former bookseller and burned-out army deserter, stumbles around in the surreal detritus of bombed-out Cologne. He escaped the firing squad when another soldier, Willy Gompertz (probably seeking death), traded uniforms with him. Now he must deliver the news to the dead man's sick widow, Elizabeth. While negotiating to buy a false ID from a doctor, he steals a coat belonging to Regina Unger, who eventually gives blood to save Elizabeth Gompertz's life. Further fleshing out this small group, Bîll introduces Elizabeth's wealthy father, Herr Doktor Professor Fischer, a lawyer, philologist, and important patron of the bookseller from whom Schnitzler learned his trade. Schnitzler and Unger, both shellshocked by the horrors of war, fall in love by degrees and finally huddle together in a starved, gray, mingy state of grace. 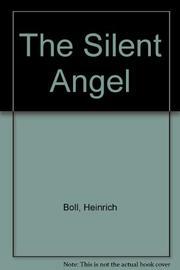 Visions of WW II's aftermath in Germany were Bîll's trademark and are the main elements driving this book; he depicts the damage done to the country with a kind of horrified poetry. Admirers of Wim Wenders's films Wings of Desire and Faraway, So Close! will recognize a thematic kinship here: Both he and Bîll employ a limited ensemble of characters and a collection of stark, still images to convey full cross sections of their German cities, covering high and low life, hospitals and bomb shelters, the rich and fearful, the poor with nothing to lose. The novel is terrifically on target with its series of tragic, ascetically drawn tableaux. Not naturally engaging, but a great document and an important artifact.